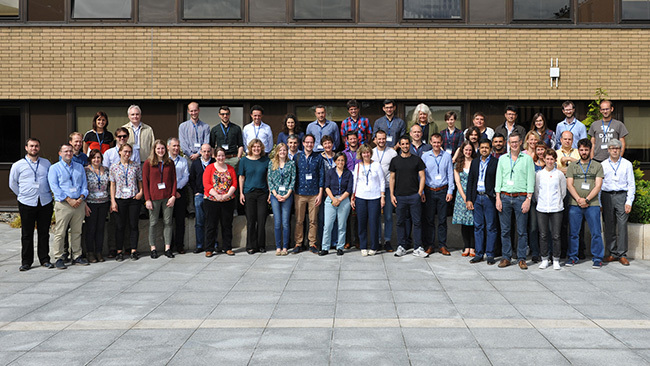 From 31 May to 2 June, IMPREX partners gathered at the premises of the European Centre for Medium-Range Weather Forecasts (ECMWF) in Reading for the project’s second General Assembly. The meeting provided an opportunity to review the progress achieved and discuss upcoming activities. This year’s meeting had a focus on data and modelling. Good progress has been achieved since the last General Assembly: New datasets have been developed and taken up by partners working on different sectors. In addition, a data set market session organised on the second day of the meeting led to a better understanding of the existing databases and produced new concrete requests. The risk outlook tool formed another focus of the meeting. Representatives from the IMPREX sister projects EDgE and Anywhere were invited to present their related on-going work to the IMPREX partners in order to best align IMPREX’s activities with the work of these projects. Recommendations from the session discussions stressed the importance of having usable and understandable information and the discussion outcomes will form a basis for the next steps in designing the IMPREX risk outlook. The three action-packed days also saw a poster session, work package discussions as well as a game by the IMPREX Early Career Scientists ‘to understand pathways in decision-making in flood protection context and highlight its complexities’. The participants found that the game, tried out for the first time at the EGU General Assembly in Vienna, illustrates well the issues that play a role in decision-making. The next IMPREX General Assembly will take place in Valencia from 1 to 3 October 2018 on the topic of ‘Measurable progress’.